Sorry, Shailene Woodley, but it looks like it's time for you and Divergent to move over now that Darren Aronofsky’s Noah is number one at the box office after approximately $44 million in ticket sales. 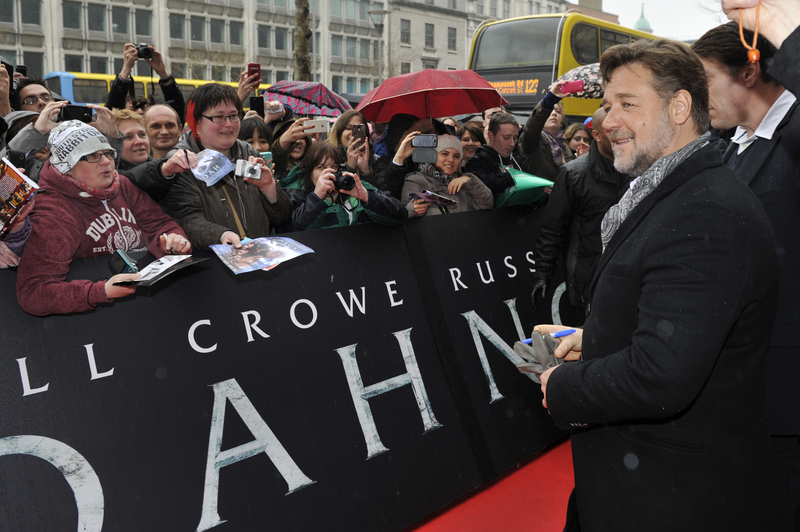 It looks like it’s been a pretty good weekend for Russell Crowe (Noah), Jennifer Connelly (Naameh), Anthony Hopkins (Methuselah) and Emma Watson (Ila), who are only a few among the large cast that participated in the movie. Although the biblical film has seen such great success in only its first weekend screening, this outcome not only surprised its audience members but also those who worked in creating it. Megan Colligan, Paramount’s president of domestic marketing and distribution, said, “It was a fantastic result. I think the movie really surprises people and makes them want to talk about it,” according to the Los Angeles Times. Colligan also mentioned how the movie brought in a diverse group of movie-goers, with an equal amount of men and women, but those of varying religions and ethnicities. She did say however that Noah brought in older individuals. Divergent came in second place this weekend, bringing in $26.5 million, while Muppets Most Wanted ranked at third, generating $11.3 million.